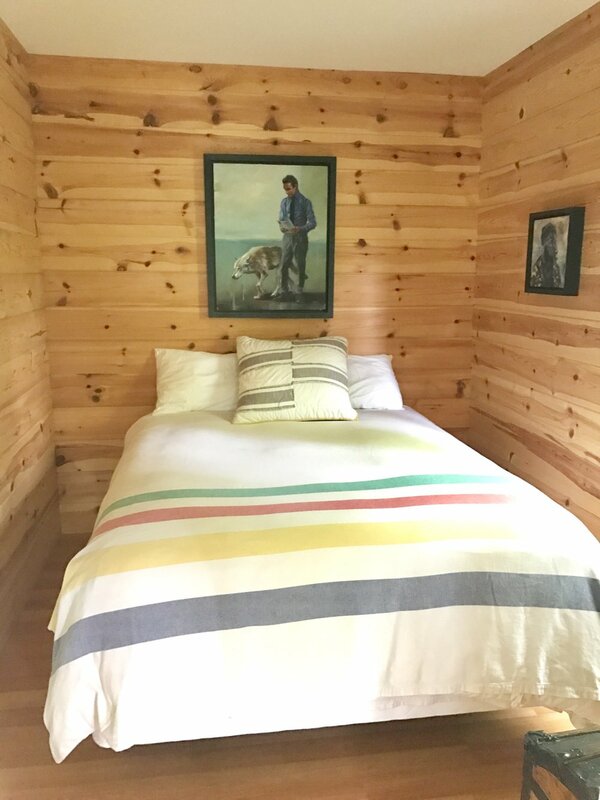 Our off-grid* cottage sits atop a 75 foot piece of Canadian Shield overlooking Little McGarry Lake surrounded by hills of Birch, Balsam and Maples. 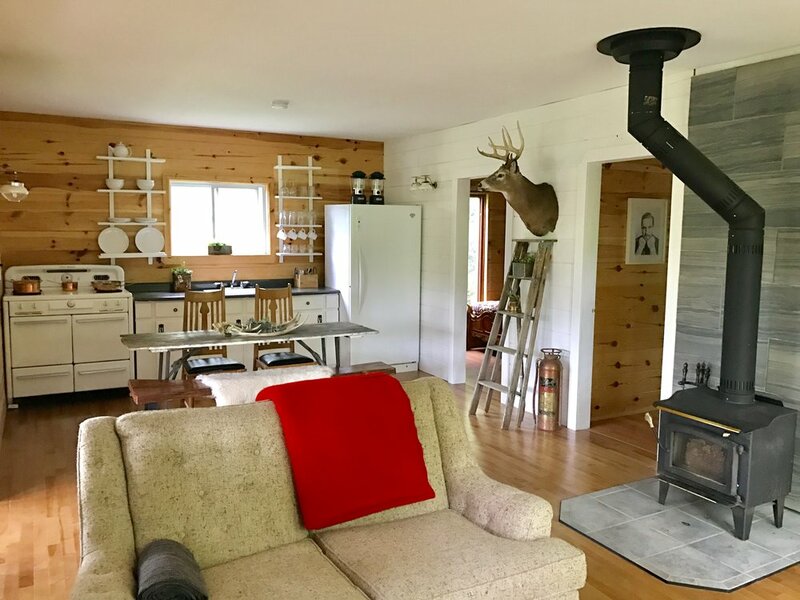 This extremely clean cottage is uniquely decorated with vintage and antique finds along with original Canadian art. 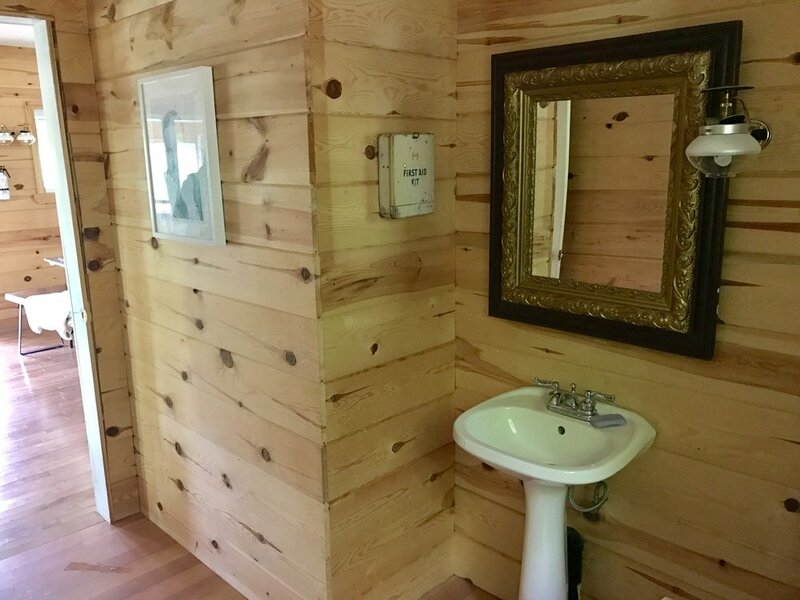 It's comforts are delivered through a wood burning fireplace, propane, and rain water collection. We provide you with a good flashlight and a couple of battery powered lanterns for your convenience. The stairs and fire area have solar lanterns and there is a solar powered censor light by the stairs to the cottage as well. The kitchen is fully stocked with standard cooking utensils, a propane stove and a Coleman Propane BBQ. Let's face it, cottaging is not the same without a BBQ. Down by the water, we have a cleared picnic area with a walk-out dock that is perfect to take in the sounds of the water. We have provided you with a paddle boat that you may use throughout your stay. IMPORTANT: be advised that the walk to and from the lake to the cottage is a steep hill. Behind the cottage we have a fire pit surrounded by cedar chips (they smell delightful) set up with Muskoka chairs and a picnic table to enjoy. 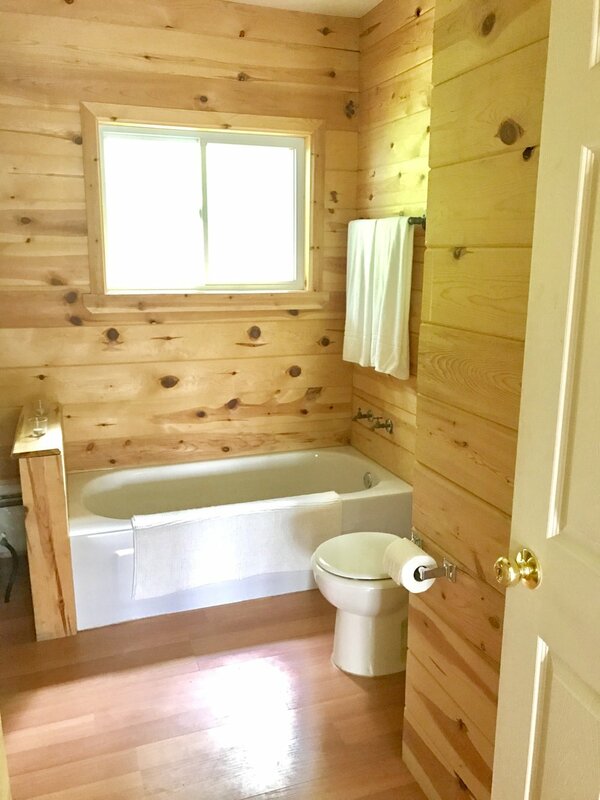 Should you not be a bath person, beside the cottage, we have an outdoor shower with granite floors. Wifi is not available at the Off-grid but the main office has wifi on the deck and there is also an outlet for you to use if you need to charge up a device. Don't leave your furry friends behind! Pets welcome with prior notice. Rates are calculated based on 4 person occupancy, additional guests are $50 per person and must be arranged for prior to arrival. An air mattresses and linens will be provided for additional guests if desired. For calendar of Availability, click on THIS LINK.